Familiarity breeds contempt, more so in football. The age-old adage rings true in all senses for the Round of 16 clash between Chelsea and Barcelona, the first leg of which will be played tonight at the Stamford Bridge. Six years after their previous meeting in the 2011-12 UEFA Champions League semi-finals, when Roberto di Matteo’s Chelsea went on to lift the ‘Big-Eared’ trophy, old rivals come face to face, but with new personnel and new figureheads at helm. The contests between Chelsea and Barcelona have never been anything less than a showpiece event on the European stage — goals, red cards, controversial officiating decisions, memorable moments of footballing brilliance — every bit of drama a European tie aspires to conjure. Years before Pep Guardiola revitalised Manchester City into a fierce European contender and Mauricio Pochettino undertook the ‘Tottenham Project’, it was Chelsea who represented the English DNA in the business end of the UEFA Champions League, amidst a flurry of changing managers; akin to how Barcelona were the dominant Spanish club in the competition and not the reigning European Champions Real Madrid. A lot of water has flown under the bridge since the last time these two clubs squared-up against each other, but neither club has been a force to reckon with in Europe in recent years. While Barcelona have visibly been the second best to a rampaging Real Madrid, Chelsea have struggled to replace the match-winners in Didier Drogbas and Frank Lampards. The two clubs have had contrasting fortunes on the domestic front this season. 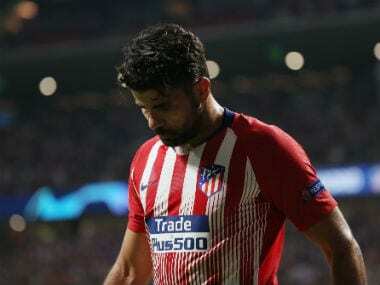 While Barcelona have been numero uno in La Liga, crisis talks have enveloped Chelsea and Antonio Conte at every juncture throughout the season, most recently after their poor start to the new year. The quality of performances of both clubs has stemmed from their dealings during the transfer windows. As Chelsea fell back into old habits of failing to strengthen their squad, Barcelona brought in Ousmane Dembele and Philippe Coutinho to alleviate Neymar’s departure. 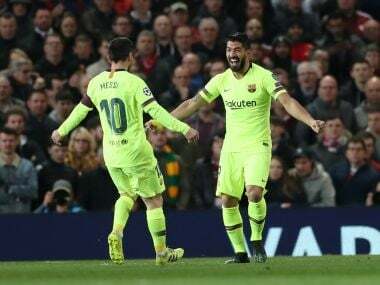 Barcelona undoubtedly have more match-winners in their ranks, most notably Lionel Messi who would be eager to get his first ever goal against Chelsea, but it will be the tactical system adopted by either side and its execution which will prove to be the deciding factor over both legs. Antonio Conte has already declared how Chelsea will need to “play a perfect game” to eliminate Barcelona, but Ernesto Valverde explained why Chelsea could again prove to be the bogey team that has frustrated Barcelona over the years. “Chelsea have a unique style of football and know their own game. The English style of football is very unique, very physical, but they play good football as well. It’s different playing Chelsea because of their formation, but Girona play with a similar system in La Liga so we’ve played against it before,” Valverde spoke highly of Antonio Cone and his tactics, but there is no denying the fact that his team is capable of outplaying any European side on their day. 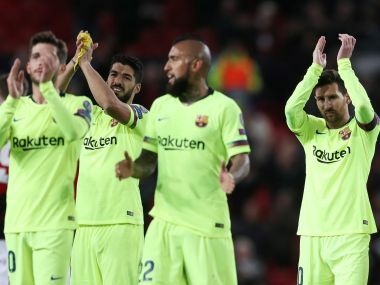 Barcelona have a settled starting eleven with well-etched out roles for each of their players — the most intriguing cog in Barcelona’s wheel being the dynamic trifecta of Messi, Luis Suarez and Dembele. Yet it will be the midfield duo of Andres Iniesta and Sergio Busquets whom Chelsea need to quell to counter Barcelona’s dominance in the midfield channels. Nelson Semedo’s suspension and Philippe Coutinho’s ineligibility will provide the Blues some respite, but Valverde’s Barcelona portrays a sense of calm elegance unlike the teams of previous years. On the opposite spectrum, the English club has been somewhat of a disjointed contraption this season — their performance against Atletico Madrid at Wanda Metropolitan being a stark contrast to that against Watford at Vicarage Road a few weeks back. Touted as ‘Lionel Messi vs Eden Hazard’ by the European sports media, it will rather be Chelsea’s more understated stars — the indispensable Cesar Azpilicueta, the tireless N’Golo Kante and the revelatory Andreas Christensen — who hold the key. Goals have come in sparse quantities for Chelsea this season – Alvaro Morata and Olivier Giroud’s lack of fitness forcing Conte’s hand, but it will be the 27-year-old Belgian, constantly surrounded with speculations of a transfer to Real Madrid and yet claims to be “well-settled in London”, who is the most potent threat in the Chelsea ranks. 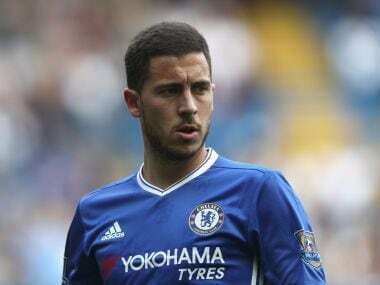 If there ever has been a player who has single-handedly carried a team to a league title, it has been Eden Hazard, on two separate occasions nonetheless, but the Belgian is yet to leave his mark on the European stage. “Every game I try and play my best football. You want to shine when you play the best in the world. If I want to reach that level, I need to play a great game,” Hazard stated in his assuring yet nonchalant trademark style that Chelsea fans have come to associate with him, for the Belgian has truly unlocked another chasm of his potential under Antonio Conte, who has steadfastly built a team around the Belgian. “This is a big game. Let’s go for it and try to give everything,” Hazard had said and should he and his team live up to their potential, Barcelona might once again be left wondering about Chelsea’s indomitability against all the odds.